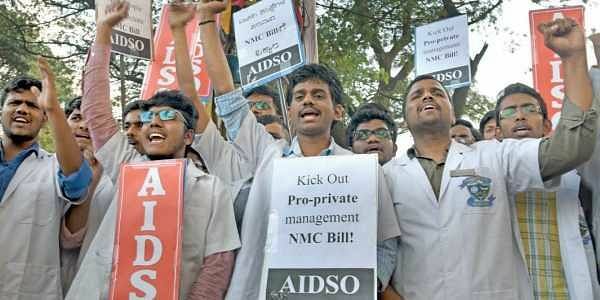 BENGALURU:Even as the Indian Medical Association called off the nation-wide closure of out-patient departments in protest against the National Medical Commission Bill after the parliament referred it to the Joint Select Committee, the city saw little effect of the strike in the first half of Tuesday. Corporate hospital OPDs that see the bulk of the patient footfall functioned as usual. Both the Department of Health and Family Welfare and the Medical Education Department issued circulars instructing that no staff should be given leave. The DHOs and district surgeons were asked to ensure that all government doctors be on duty and hospitals work in full capacity. All leaves were cancelled for staff to ensure treatment for all patients. The medical officers were also asked to explain the steps they had taken after meeting with the DCs and SPs of their respective districts. Dr Sudarshan Ballal, chairman, Manipal Hospital, said the Bill needs discussion on two main aspects. “The Bill does not allow membership of all states in the NMC. Currently, all states are represented. The Bill gives membership on a rotation basis forcing states to wait for a decade or two to re-enter the NMC.”He also said that allowing non-allopathic doctors to practice allopathy after a bridge course requires a rethink. On Monday, medical students held a candlelight vigil as they are opposed to an exit exam proposed by the Bill to get licence to practice medicine in the country.